These three colloquia set out to bring together filmmakers, activists, and researchers to discuss the use of film and media technologies in the social movements of autochthonous populations. In the company of those involved in these communities and social movements, our aim is to map the film and media forms and practices employed within recent and ongoing autochthonous struggles. These exchanges will investigate the different situations and experiences that produce these filmic forms, their vernacular histories and roles within these political and social movements of resistance. The colloquia are organized under the auspices of the research project “For a Global Study of Filmic Practices within Autochthonous Struggles,” lead by Nicole Brenez at the French national film school La Fémis and funded by PSL Research University’s Global Studies initiative. Collectively, we aim to create a space for the study and promotion of the role and forms of filmic and media practices, enlisted during times of adversity when the effects of global processes intersect with the lives of indigenous and rural communities. These autochthonous communities – their identity and ways of life embedded in deep historical and cultural bonds to their lands – are often the first in line to bear witness, suffer and endure political disenfranchisement, state violence, economic exploitation, pollution and contamination of lands and living beings, environmental injustice, expropriation, and displacement. Behind these experiences and instances of plight are large-scale ecological, macroeconomic, and geopolitical processes, which take decades or centuries to play out, encompass continents, and whose origins are largely human. An environmental catastrophe, a negative economic development, or a series of hostile political decisions can lead to situations of intense distress and struggle where autochthonous communities need to mobilize in order to ensure their existence and protect their environment. During these times of conflict, they require tools to frame and render tangible the impacts of global processes. In creating and employing compelling figurative and representational forms, the communities can make their voices heard and raise awareness about their causes, allowing them to reach society at large, which bears a great share of responsibility in begetting and sustaining large-scale processes. Since the 1960s, many of these communities have made use of various media practices as a way to document and engage with the struggles they are involved in. We are interested in studying how the act of image and sound making becomes a part of the dynamic of the struggle; what effect do the filmic and media practices have on the course of the struggle; how are the figurative and representational forms conceived and adapted to the particular situation; in what ways does the community participate in or influence the process of devising these forms; how are the works lent a historical depth, given a sense of the larger processes at work, while also conveying the urgency of the situation; how and where are the resulting works distributed and what is their effect both within the community and outside? This first meeting will examine the filmic tactics developed by the autochthonous resistance movements in response to land spoliations and the extraction and transportation projects of the mining and petroleum industry. 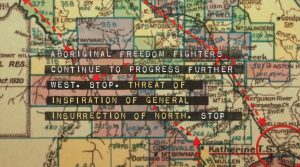 In their masterclasses, filmmaker Alanis Obomsawin of the Abenaki nation, activist and videographer Myron Dewey of the Newe-Numah and Paiute-Shoshone nations, and filmmaker Sky Hopinka of the Ho-Chunk and Pechanga nations, will reflect on the confrontations between autochthonous communities and armed forces in Oka, in 1990, and at Standing Rock, between 2015 and 2017. Both the Oka Crisis and the Dakota Access Pipeline protests at once lay bare the willingness of the government to forcefully deprive the autochthonous communities of their rights and demonstrate how employing filmic practices and media tactics allows the communities to represent themselves and their plight. The proposals for this section could focus on filmic practices developed during these ongoing struggles or on the diversity of filmic forms related to intertribal and pan-Amerindian political movements in North America. These two days will be dedicated to the constitution of a first cartography and chronology of filmic practices that document the ongoing autochthonous struggles in the regions historically marked by the colonial influence and practices of the United States. Collective amnesia regarding the colonial history of the Philippines will be the starting point of this colloquium. Filmmaker and professor of visual and media arts at Emerson College, John Gianvito will discuss the films where he explores the political and visual history of American imperialism. Activist Myrla Baldonado, one of the founders of the NGO People’s Task Force for Bases Clean-Up (PTFBC) in the Philippines, will present the history of collective local and international mobilizations against the U.S. military bases Clark and Subic. The conversation will then be extended to all contemporary autochthonous struggles in the Pacific region and the West Indies: Okinawa, Micronesia, Philippines, Hawaii, Puerto Rico. We are inviting proposals that will take an empirical or historical (from 1980 to today) perspective on those issues. Special attention will be given to proposals dealing with social mobilizations against American bases, on filmic practices of contemporary environmental struggles in the Pacific or Caribbean regions, as well as on insurgent movements in the southern Philippines. During this last meeting, we will reflect on the filmic, collective, and essayistic forms that represent the present-day experiences of autochthonous communities in contexts marked by the contamination of ancestral lands and the displacement of populations, and that also explore and employ alternative narratives, forms of history, and ideas of coexistence. Karrabing Film Collective will present its work borne of its community in Northern Australia, and filmmakers Lisa Rave and Erik Blinderman will talk about their investigation on Yucca Mountain, a Western Shoshone territory in Nevada, which has been the subject of a continuous colonization process since the Ruby Valley Treaty in 1863. As part of this discussion – extended to the autochthonous peoples of Oceania and North America – the proposals could consider filmic forms that document the intensive exploitation of natural resources and the threats it poses to both autochthonous and all of our futures. Presentations exploring filmic forms that incorporate the ideas of uchronia, utopia, and futurism will be appreciated. Our wish is to include in our discussions all possible voices. Therefore, this call is open to both academics and non-academics alike, to those who either study the issues related to this research project or those who are involved in and touched by the experiences of struggle. We thus welcome contributions that follow a traditional 20-minute academic presentation but also proposals for experimental forms where the author(s) have a wide range of means to convey ideas and experiences. – Histories of filmic practices. A study of the practices and/or legacies (archival or other) of an individual filmmaker or an activist collective. – Empirical and ethnographic study of filmmaking, exhibition, and reception practices. – Issues and forms of ‘visual sovereignty’ (Michelle Raheja). Ethics of shooting, decision making processes relative to what and when can or cannot be represented (e.g. ceremonial rituals, behind-the-scenes deliberations). – Technical autonomy and technological sovereignty. Filmmaking and media production in situations marked by digital divide and in the conditions of surveillance and tracking across content and social media platforms. – Financing and distribution of films. Government funding, aboriginal media and television stations, self-financing, and the impact of these forms of production on filmmaking and the autonomy of the filmmakers. – Appropriation and adaptation of film and media technologies. Studies on past and “new ways to indigenizing film and technology through Indigenous Eyes” (Myron Dewey). – The historicity of images and their ability to capture the evolving conditions of autochthonous struggles. The capacity of films at once to document the urgency (occurrences of state violence) and to construct in the long run the vernacular memories of autochthonous struggles. – Sonic ecology of struggles. Oral histories, chants and protest songs in films. – Uchronia, utopia, futurism. The futures and alternative realities – imagined, forgotten, or reinvented by the filmic practices of autochthonous struggles. We invite proposals for experimental forms that can be constituted of media works (e.g. moving image, sound), involve a performance (e.g. monologue, dialogue, reenactment, dramatization). To encourage and facilitate the participation of those who are unable to travel to Paris, we also welcome proposals for performative forms that could be staged and directed from a distance following notes submitted by the author(s). For the latter, the author(s) would have at their disposal the bodies and voices of the organizers and participants of the colloquia and the entire space where the event takes place (depending on the day, a movie theater, a conference room). The piece can last up to 20 minutes. The authors can use the language of their choice while the non-English works should be accompanied by an English translation. Thematically, the authors have complete freedom in their proposals as long as they touch upon the central concerns of this research project and follow the regional boundaries of one the three colloquia. For works to be directed from a distance, the organizers commit to discuss the directions/staging beforehand and, if necessary, organize a rehearsal. The performative forms could be filmed/recorded by the organizers following the authors’ instructions and within the technical means at our disposal. The unedited rushes will then be sent to the authors who can freely archive, edit, or distribute these materials. – if applicable, indications as to the recording and possible uses of the materials. The authors should be aware of the aforementioned constraints, the specificity of the resources at their disposal, adapt their works to them accordingly, and keep in mind the importance of notations and instructions to be included with their final work if it is to be directed from a distance. In order to ensure that the work be presented in the best possible conditions the final work should be received by the organizers at the latest three weeks before the event. Please submit your proposal before December 1, 2018, to: alopai@hotmail.com and larcherj@hotmail.fr. The proposals should specify the chosen colloquium, the presentation’s format (performance / video / academic presentation, etc. ), include a summary of the academic presentation (500 words) or the experimental form (300 words), a short biographical note, and, if applicable, the human and/or technical means necessary for the production/presentation of the work. The participants will be notified of acceptance by December 17, 2018, and the final program will be published on January 20, 2019. We are unfortunately unable to provide financial aid, the participants will assume transportation and accommodation expenses. For any questions regarding the presentations please write to the email addresses above. Trois journées d’études proposent de réunir cinéastes, militants et chercheurs autour de l’usage des outils filmiques dans les mobilisations sociales des populations autochtones. En compagnie des acteurs engagés dans ces communautés et leurs mobilisations, ces rencontres permettront d’établir une première cartographie des formes et pratiques filmiques qui s’inventent dans les luttes autochtones contemporaines. Les échanges porteront sur les expériences et situations qui donnent naissance aux formes filmiques, les histoires vernaculaires de ces pratiques, leur rôle dans les mouvements de résistance et de changements politiques et sociaux. 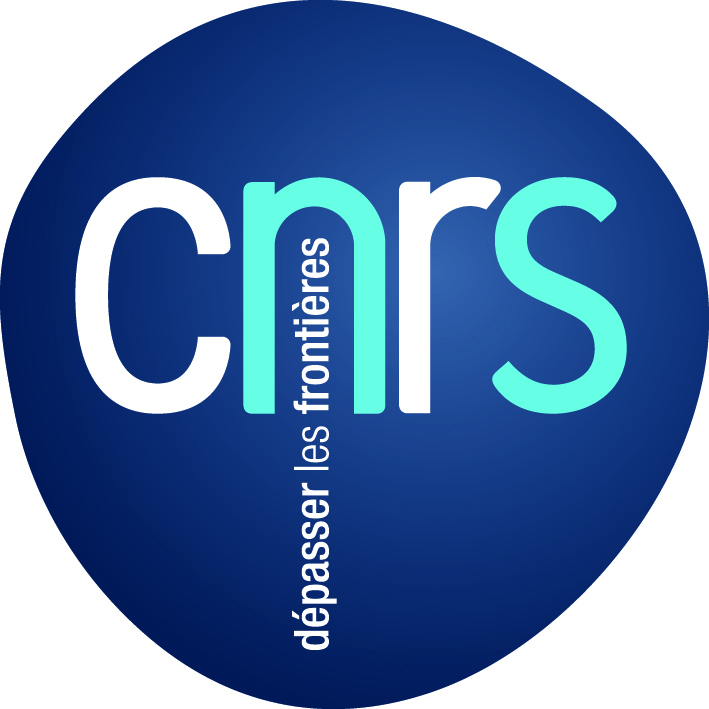 Ces journées d’études sont organisées dans le cadre du projet de recherche “For a Global Study of Filmic Practices within Autochthonous Struggles”, dirigé par Nicole Brenez à La Fémis, et financé par l’IRIS Études Globales de l’Université PSL. Nous souhaitons créer collectivement des espaces pour étudier les rôles et les formes des pratiques filmiques dans les situations de conflits où les communautés aborigènes, amérindiennes et rurales se confrontent à des processus globaux. Par Autochtones, nous entendons donc l’ensemble de ces communautés dont l’existence et les manières de vivre s’inscrivent dans une longue histoire de relations interdépendantes avec leur environnement. Les communautés autochtones sont bien souvent les premières à faire l’expérience et témoigner des violences d’État, des restrictions des droits fondamentaux, de l’exploitation économique, de la pollution, de la contamination des êtres vivants, de l’injustice environnementale, de l’expropriation des terres et des déplacements forcés. Ces situations hostiles mettent en jeu des processus écologiques, macroéconomiques et géopolitiques de grande échelle. Au-delà des apparences, ces processus globaux, dont la profondeur historique s’étend sur des décennies ou des siècles, sont majoritairement d’origine humaine. Une catastrophe écologique, le développement d’une nouvelle technologie d’extraction ou une série de décisions politiques discriminantes peut engendrer des situations éprouvantes et désastreuses pour les communautés autochtones, les poussant ainsi à se mobiliser pour veiller à ce que leur existence et leur environnement ne soient pas menacés par ces exactions. De telles mobilisations entraînent à utiliser des outils pour identifier et rendre visible les conséquences tangibles de ces processus de grande échelle. Capables de documenter et transmettre l’expérience des communautés menacées, les enregistrements retournent à des publics, qui sont, d’une manière ou d’une autre, partie prenante dans le monde économique responsable des processus à grande échelle et de leurs effets. Depuis les années 1960, un grand nombre de ces communautés ont fait usage de différentes pratiques filmiques et médiatiques pour outiller leurs luttes. Ces trois rencontres seront l’occasion de discuter et d’examiner les questions centrales du projet : comment la prise de vues et de son devient-elle un aspect de la lutte ? quels sont les effets attestables des pratiques filmiques et médiatiques sur le devenir de la lutte ? comment les images enregistrées sont-elles conçues et adaptées à la spécificité de la mobilisation ? de quelle manière la communauté des individus affectés par ces situations de trouble, de contamination, de violence, participe-t-elle à l’élaboration de ces formes filmiques ? comment les films parviennent-ils à décrire l’urgence d’une situation de mobilisation tout en évoquant les ramifications et la profondeur historique des processus de grande échelle à l’oeuvre ? où et comment sont diffusés et distribués ces films et vidéos, et quels sont leurs effets au sein de la communauté mobilisée et en dehors de celle-ci ? JE #1 – Autochthonous Cinema against Occupations [North America] Ces premières rencontres interrogeront les tactiques filmiques développées par les mouvements autochtones de résistance aux spoliations des terres et aux projets des entreprises d’extraction. Dans leur masterclass, la cinéaste Alanis Obomsawin, de la nation Abenaki, le militant et vidéaste Myron Dewey, membre des nations Paiute et Shoshone, et le cinéaste Sky Hopinka, des nations Ho-Chunk et Pechanga, reviendront sur les confrontations qui opposèrent les communautés autochtones aux forces armées et polices privées à Oka, en 1990, et à Standing Rock, entre 2015 et 2017. La crise d’Oka au Québec comme les mobilisations contre le Dakota Access Pipeline dévoilent la volonté des gouvernements fédéraux de déposséder les communautés autochtones de leurs droits, et montrent comment pratiques filmiques et tactiques médiatiques permettent aux communautés affectées de représenter leur expérience. Les présentations et performances pourront notamment porter sur les pratiques filmiques qui s’élaborent dans les luttes en cours et sur la diversité des formes filmiques qui ponctuent l’histoire des mouvements politiques intertribaux et panamérindiens en Amérique du Nord. JE #2 – A Long View on Colonizing Practices and their Amnesia [Pacific/West Indies] Ces deux journées seront consacrées à l’élaboration d’une première cartographie et chronologie des pratiques filmiques – documentant les luttes autochtones en cours dans plusieurs régions historiquement marquées par les pratiques coloniales des États-Unis. L’amnésie collective entourant l’histoire coloniale des Philippines formera le point de départ de ces rencontres. Le cinéaste John Gianvito, professeur à Emerson College, reviendra sur l’ensemble des films qu’il a consacré à l’histoire politique et visuelle de l’impérialisme états-unien. La militante Myrla Baldonado, l’une des fondatrices de l’ONG People’s Task Force for Bases Clean-Up aux Philippines, présentera l’histoire des mobilisations collectives, locales et internationales, contre les bases militaires de Clark et Subic. La conversation sera ensuite étendue à l’ensemble des luttes autochtones contemporaines du Pacifique et des Caraïbes : Okinawa, Micronésie, Philippines, Hawaii, Porto Rico. Nous attendons des propositions qui adoptent une perspective empirique ou historique (de 1980 à nos jours). Une attention particulière sera accordée aux mobilisations sociales contre les bases états-uniennes et aux pratiques filmiques nées des luttes environnementales contemporaines de l’aire pacifique ou caribéenne, ainsi qu’aux mouvements insurrectionnels du Sud des Philippines. JE #3 – Autochthonous Futures, Our Future [Oceania/North America] Cette dernière rencontre engagera une conversation autour des formes filmiques, collectives et essayistes, qui s’attachent à représenter aujourd’hui l’expérience des communautés autochtones dans des contextes marqués par la contamination des terres ancestrales et les déplacements de populations, tout en figurant des formes alternatives d’histoires, de récits, et de vivre ensemble. Le Karrabing Film Collective présentera son travail réalisé au sein de sa communauté, dans le Territoire du Nord de l’Australie, et les cinéastes Lisa Rave et Erik Blinderman reviendront sur leur enquête autour de Yucca Mountain, un territoire West Shoshone dans le Nevada qui fait l’objet d’une colonisation continue depuis la signature du traité Ruby Valley en 1863. Dans le cadre de cette discussion étendue aux populations autochtones d’Océanie et d’Amérique du Nord, les propositions pourront porter sur les formes filmiques qui documentent l’exploitation intensive des ressources naturelles et la menace que celle-ci représente pour les futurs autochtones et tous nos futurs. Les présentations consacrées aux formes développant l’uchronie, l’utopie et les futurismes sont les bienvenues. Ces trois journées constituent une invitation à ouvrir la discussion à l’ensemble des personnes engagées dans ces luttes autochtones, que ce soient les chercheurs et jeunes chercheurs qui travaillent sur des thèmes du projet, ou bien les militants, cinéastes et acteurs de la société civile impliqués dans ces luttes. Nous souhaitons donc réunir à la fois des interventions académiques, de vingt minutes, et des interventions expérimentales, qui offrent aux auteurs une grande liberté de forme pour présenter témoignages et expériences. – Chronologies des pratiques filmiques. Études monographiques sur les pratiques ou sur les archives filmiques d’un.e cinéaste ou d’un collectif. – Études empiriques et ethnographiques des procédures de tournage, de diffusion et de réception des films et vidéos. – Enjeux et formes de la “souveraineté visuelle” (Michelle Raheja). Éthiques de tournage, prises de décisions concernant ce qui peut ou ne peut pas être filmé (cérémonies rituelles, délibérations politiques lors des assemblées générales…). – Autonomie technique et souveraineté technologique. Pratiques filmiques et médiatiques dans des situations marquées par la fracture numérique et le contrôle et le suivi des contenus publiés sur les plateformes numériques. – Financement et diffusion des films. Financements gouvernementaux, télévisions et médias aborigènes, autoproduction ; les impacts des modalités de production sur la réalisation des films et l’autonomie des cinéastes. – Détournement des technologies filmiques. Enquêtes sur les anciennes et “nouvelles manières de subvertir [indigenizing] les films et les technologies par le regard autochtone” (Myron Dewey). – Historicités des images et temporalités des luttes autochtones. De l’urgence de documenter les violences d’État à la construction d’une mémoire vernaculaire ; les usages des images dans les différentes stratégies et le temps long des luttes autochtones. – L’écologie sonore des luttes. Histoire orale, chants spirituels et protestataires dans les films. – Uchronies, utopies et futurismes. Les réalités alternatives et les devenirs imaginés, oubliés, réinventés par les pratiques filmiques des luttes autochtones. Les propositions expérimentales peuvent prendre la forme d’une oeuvre filmique ou sonore, ou encore d’une performance (un monologue, un dialogue, un reenactment…). Afin d’encourager et faciliter la participation des personnes ne pouvant pas se déplacer et venir à Paris, nous recevons également des formes performatives qui peuvent être mises en scène et dirigées à distance. Dans ce dernier cas, l’auteur ou les auteurs auront à leur disposition les corps et les voix des organisateurs et des participants aux journées d’études, ainsi que l’ensemble de l’espace où se tiendront les rencontres (une salle de cinéma ou une salle de conférence). Les formes expérimentales peuvent durer jusqu’à 20 minutes. Les auteurs peuvent utiliser le langage de leur choix, dès lors que leur intervention est accompagnée d’une traduction anglaise. Le thème de l’intervention doit s’inscrire dans le cadre de l’une des journées d’études. Pour les interventions mises en scène à distance, les organisateurs sont disponibles pour discuter en détail de la performance ou réaliser une répétition avant la journée d’études. Les formes performatives pourront être filmées, suivant là aussi les souhaits et directions des auteurs – et dans la limite des moyens techniques à notre disposition. Les rushes vidéos seront ensuite envoyés à l’auteur sans montage, il ou elle sera libre de les archiver, de les monter et de les diffuser. – des indications, le cas échéant, sur l’enregistrement et ses possibles usages. Les auteurs doivent être conscients des contraintes et des ressources spécifiques mis à leur disposition, et garder à l’esprit l’importance des notations et instructions qui sont à inclure dans la version finale de l’oeuvre ou du texte. Pour s’assurer des meilleures conditions, la forme finale du texte devra être adressée aux organisateurs, au plus tard, trois semaines avant la journée d’études. La proposition, rédigée en anglais, devra préciser la journée thématique choisie, le format de l’intervention (film, performance ou présentation). Elle devra également inclure un résumé de 500 mots – pour les présentations académiques – ou de 300 mots – pour les formes expérimentales –, une note biographique et, le cas échéant, une liste des moyens techniques et humains nécessaires à l’intervention. Les réponses aux propositions seront faites le 17 décembre 2018 et le programme définitif des journées sera mis en ligne le 20 janvier 2019. Nous n’avons malheureusement pas de budget dévolu aux frais de transports et à l’hébergement des participants. Pour toute information, regardant plus particulièrement les formes expérimentales, les organisateurs peuvent être contactés aux adresses mails ci-dessus.